Samsung has enjoyed the glory of the Galaxy S6 but also working hard to roll out the Android 5.1.1 Lollipop to provide several fixes and updates for it. While the duo features two of the most polished flagship smartphones it still has a few annoying issues. 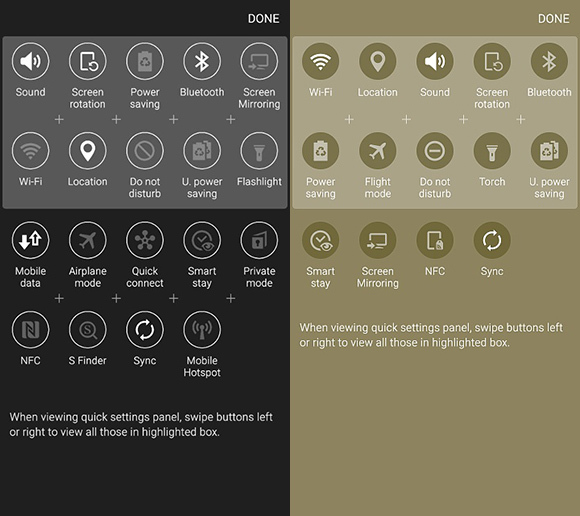 The latest one is about the data toggle doing a disappearing act from the Quick Settings. Multiple reports point at the Quick Settings in the Samsung Galaxy S6 playing some kind of trick of removing the Data Toggle automatically. No matter what tricks are tried, it doesn’t return to its specific place. The Galaxy S6 owners across the globe are facing this issue and once it happens you have to visit the Mobile Data option in the Settings app to toggle mobile data. Whether you clear the cache, or reboot the device, the toggle doesn’t return to the Quick Settings. So far, there is no sure-shot method to fix this or any explanation from Samsung. Hopefully the now rolling Android 5.1.1 Lollipop update fixes this.